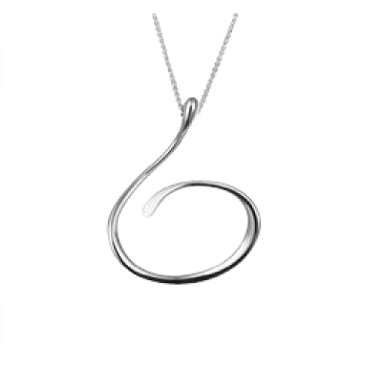 A sterling silver dropping swirl, length 44mm on spiga chain. 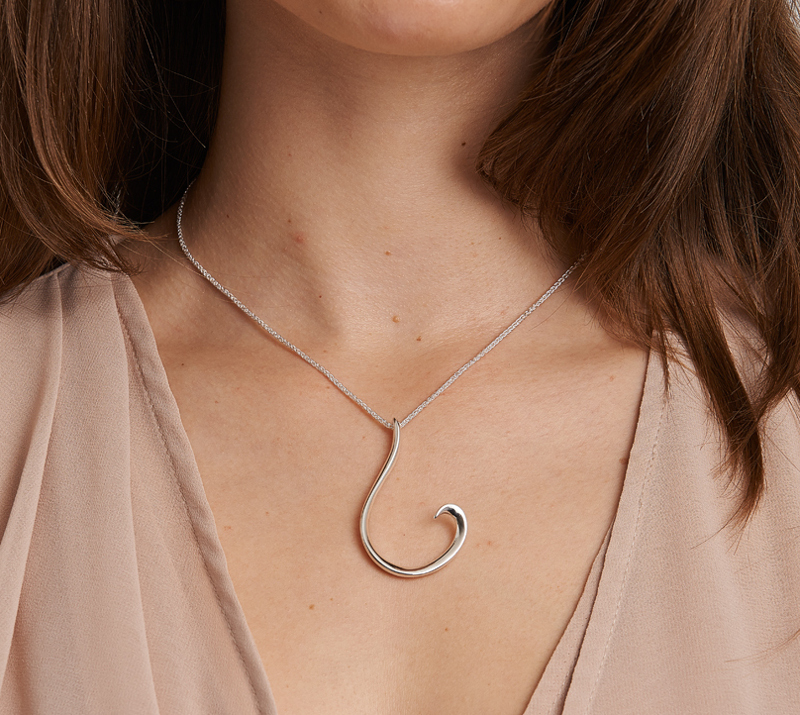 Based on dramatic curves that interact with each other creating a lively whirling collection of jewellery. Inspired by the drama of a stormy evening and its effect on the landscape.